It's Thursday. But the web doesn't care. Its wheels keep on turnin' as the news stories keep on burnin'. We're rolling, rolling, rolling on the internets. Who's going to make the next Call Of Duty game? Sledgehammer! WoW fans, check out the latest patch notes here . Valve talk Defense of the Ancients details . This silly person has been playing Max Payne with Kinect. Yahtzee reviews WoW: Cataclysm. He likes it too. Kind of. This Half-Life 2 panorama shot is worth a gander (via reddit ). Buy Broken Sword Directors cut from GOG, and get a free copy of the original. An Alien Hallway demo is available to download from here . 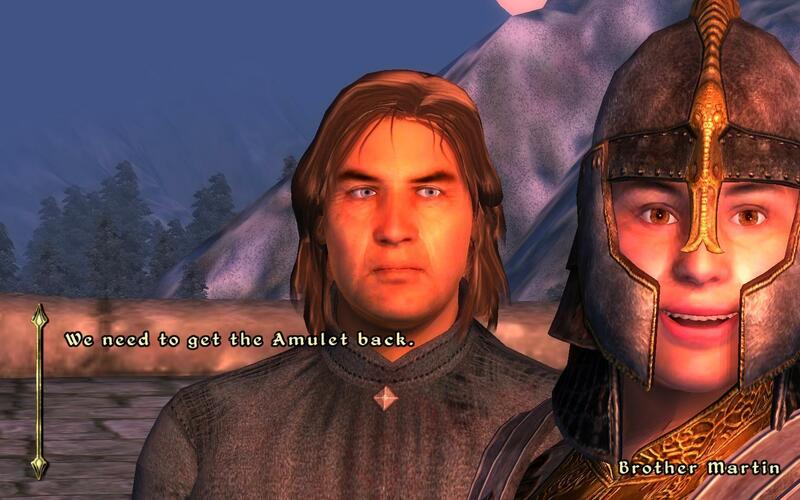 Check out this brilliant Oblivion photobomb (via reddit ) Also, be sure to watch the thoroughly amusing Mass Effect glitch that got linked in the comments. You might also be interested in this StarCraft competition . Check out page five for some proper weirdness. Yeah, that's pro-gamers IdrA and EG.iNcontroL engaged in a loving embrace. What have we been up to, aside from working really hard? Tim has been catching up on the most recent GSL Starcraft II matches, Tom and his fellow Supreme Commanders got destroyed by a fleet of walking boats in the regular lunchtime session and Ed has been enjoying the Miner Wars 2081 demo .